Health and nutrition is one of those sector which has always been prime concern of government of Rajasthan. 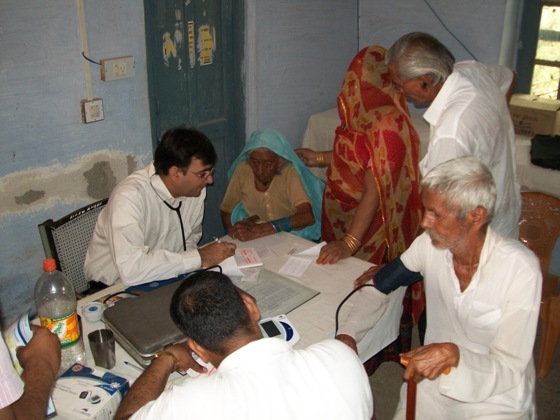 Since 20010 many efforts has been done by government to provide better health facilities to poor and common man. Free medicine, free checkups, providing equipments and proper staff at primary health centers and community health centers and district hospital are some remarkable government intervention for uplifting the health services in state. But still a lot of work is to be done to ensure the quality health services to every needy and deprived section. Ensuring better facilities to a wider section requires integrated approach involving development agencies, communities, social workers and other stake holders. Malnutrition is such a problem which can be eradicated only when all of us we do our job sincerely as it effects the future of the country. There is an urgent need to reduce the prevalence of severe malnutrition (Grade 3 & 4) (under 5 children), reducing the death of the children (in the age of group of 6 months to 5 years) due to severe protein energy malnutrition prevailed in certain specific community of state.